Thanks for the add-on! I have a few remarks In case it may be relevant, I'm on Linux x64. The gap also gets a bit wider/smaller depending on the conditional forward button, but it's a lot better than without your add-on. 2. 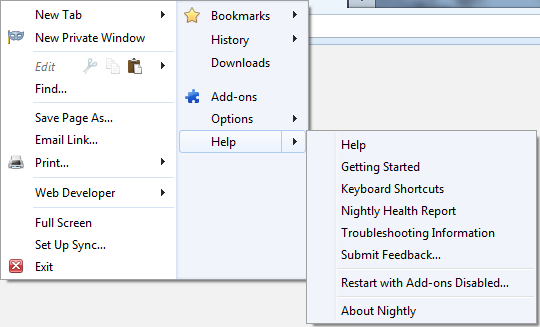 The findbar settings overrule "FindBar Tweak" on every browser restart. I have to disable and re-enable that add-on every time to fix this. 4. The highlights of app tabs are a lot less clear than they were before. Could you fix this too, please? 5. The colour of square tabs seem to be hardcoded to be Windows-y. In Linux, it used to blend in with my system theme. Could you fix that please? You are probably not using Windows AeroGlass or AeroBasic themes. Timvde wrote: Thanks for the add-on! I have a few remarks In case it may be relevant, I'm on Linux x64. 1. Maybe a Linux issue. I will have to look into that. 2. You can leave the findbar settings disabled in such cases. Findbar settings are not tested with other findbar add-ons. Does this happen without CTR? Is "FindBar Tweak" already Australis-compatible? 3. Good to hear, although I didn't tweak anything for S4E. 5. Actually the colors on Linux are hardcoded for Linux Mint as I was testing that one. I'm not sure, if it is possible to add support for every Linux OS. For Windows Firefox supports several css @media queries to determine which theme is used (XP, Win7, Win8, AeroGlass, AeroBasic, Classic, Luna etc.). Linux doesn't have something similar. Are you using a default Linux theme? Which Linux distribution are you using? BTW. Is there possibility to force Australis theme to respect native Windows frames colorization? Aris wrote: 2. You can leave the findbar settings disabled in such cases. Findbar settings are not tested with other findbar add-ons. Does this happen without CTR? Is "FindBar Tweak" already Australis-compatible? Aris wrote: 5. Actually the colors on Linux are hardcoded for Linux Mint as I was testing that one. I'm not sure, if it is possible to add support for every Linux OS. For Windows Firefox supports several css @media queries to determine which theme is used (XP, Win7, Win8, AeroGlass, AeroBasic, Classic, Luna etc.). Linux doesn't have something similar. Are you using a default Linux theme? Which Linux distribution are you using? I'm using Ubuntu on the default Ambiance theme. By default, the tabs are dark/black with pre-Australis Firefox and Australis itself. Your add-on makes them gray and not blend in with the rest of the window decoration. But it's just a remark from playing with your add-on, I'm probably going to keep Australis tabs for now, to give it a chance and see if I can get used to it. Aris wrote: 1. Maybe a Linux issue. I will have to look into that. Now I come to think of it... I had a flexible spece there before all the Australis thingies happened. It's not there now in customise mode. Could that be related? Firefox media querys cannot detect third party themes, so CTR cannot too. There are only three themes for Windows 7: AeroGlass, AeroBasic and Classic. I guess "Classic" is used for third party themes as well. Is there possibility to force Australis theme to respect native Windows frames colorization? 2. "FindBar Tweak" doen't work for me even without CTR. It "forgets" its UI tweaks after restart. Btw, if CTBs findbar setting is left untouched, no changes are made to findbar. 4. Classic tabs option uses same default/highlight/active colors for tabs and apptabs and I tried to keep color as they were on non-Australis. 5. So there are different Firefox themes for different Linux distributions, hhmmmm. I have take a look on Ubuntu. 6(your edit): No, something else was causing this and I already fixed it. But once again I only tested on Mint, so there is a chance the fix is not 100% accurate on Ubuntu. Could you test it yourself in a Stylish profile? WildcatRay wrote: It looks like if an addon provides only one size icon, with Australis and CTR, those icons are "large" and not scaled down when I choose Small Buttons. Example addons include Feedly and Secure Login. Sadly most devs didn't use Fx predefined image sizes, so this happens now. There is no css-wise or xul-wise detection of small/large icons anymore. Adding support for every add-ons icons would be too much work. There is also no way to set sizes for all icons at once without breaking some. I have been able to do some minor "hacking" of addons. What size should I make the troublesome icons to reduce them to match other small ones? Thanks. I have 2 more thing to add to my previous requests. In the Firefox Menu button the keyboard shortcut for Addons Manager is shown and it pushes the arrows for the drop down menus,which makes it look kinda bad.And also before the selectable area of the text and the arrow next to it was "connected" and hovering over the text would activate the drop down menu. I think it is not necessary for that shortcut to be shown. Also the actual Firefox menu button is not absolutely at the top.If i can put my mouse above it and it will not be selected.moving the mouse like 1pix lower and it is selected. Would be nice if the button selectable area would be all the way to the top and also to the left too since most of the time im not really looking if im properly selecting the button,and instead just move my mouse to top left and click. Those are just minor problems/annoyances ,but as they say "The Devil is in the details"
EDIT:Just to add that the left/right arrows when the tab bar gets full are showing even before the tabs are shrunk to the min size and start to overflow to the right.This doesn't look good since you see the arrows when you still should not and they are not working yet since the tabs still keep getting smaller before they overflow. EDIT2:It seems that the new Australis look is using those new close buttons,so i guess you are just using the FF default ones(which are now different in Australis).So that one is not a problem i guess. Edit3:It seems that Australis tabs are about the same(most likely even exact same) length as the ones in your addon so i guess that is why they are shorter,but i kinda liked the longer tabs pre-Australis since i could see more text from the page title and they would shrink anyway if i open too many tabs. Last edited by kilara1988 on November 19th, 2013, 5:29 am, edited 3 times in total. @WildcatRay: max 18 x 18 px. 1. Last nightly builds (before Australis) had that shortcut, so I kept it, but it is of course not needed. 2. Like I wrote on add-ons main page, some features can not be used anymore such as splitmenu (=connected menuitem+submenu). I tried to rebuild the menu as close to the original as possible. 3. 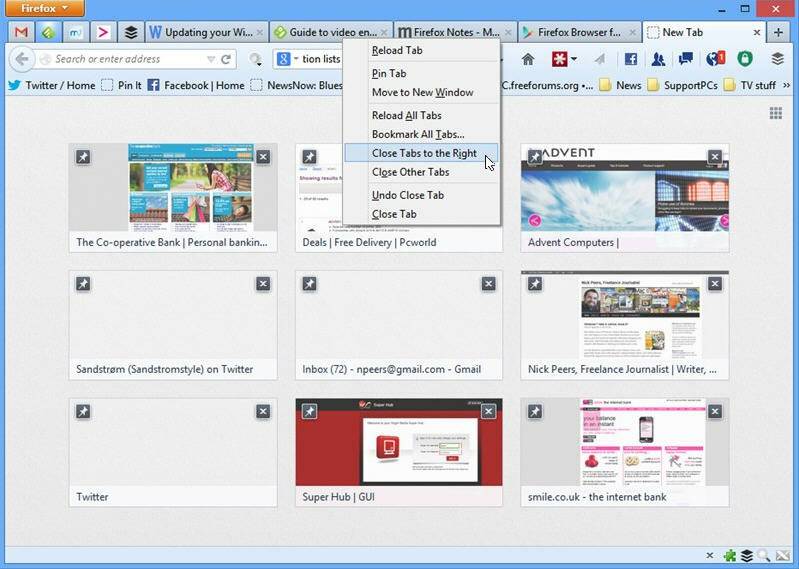 I'll look into appmenu buttons top position. Aris wrote: 2. "FindBar Tweak" doen't work for me even without CTR. It "forgets" its UI tweaks after restart. Btw, if CTBs findbar setting is left untouched, no changes are made to findbar. I hereby confirm that this is not caused by CTR. I need to disable and re-enable it on a restart anyway, even without your add-on. I guess it has something to do with Autralis then. I'll file a bug with that developer. Aris wrote: 6(your edit): No, something else was causing this and I already fixed it. But once again I only tested on Mint, so there is a chance the fix is not 100% accurate on Ubuntu. Could you test it yourself in a Stylish profile? Looks like I can continue to enjoy post-Australis Firefox,because of your addon. BTW,I apologize for having repeatedly asked for a test version. @Timvde: Thanks for confirmation. Then at least this fix can land in next version. FWIW, I'm using Win7 with a custom theme and it doesn't appear in the menu for me either, but if I select the top option and hit Up on my keyboard, Experimental Tabs becomes selected. Thank you very much Aris for this add-on. Sorry, I was mistaken; draw in titlebar was being set by another add-on (Hide Tab Bar with One Tab). Is it within the scope of this add-on to have an option to disable the nasty cloud-like tab strip background?